So, you are about to move into your new house and want to make sure all goes well. 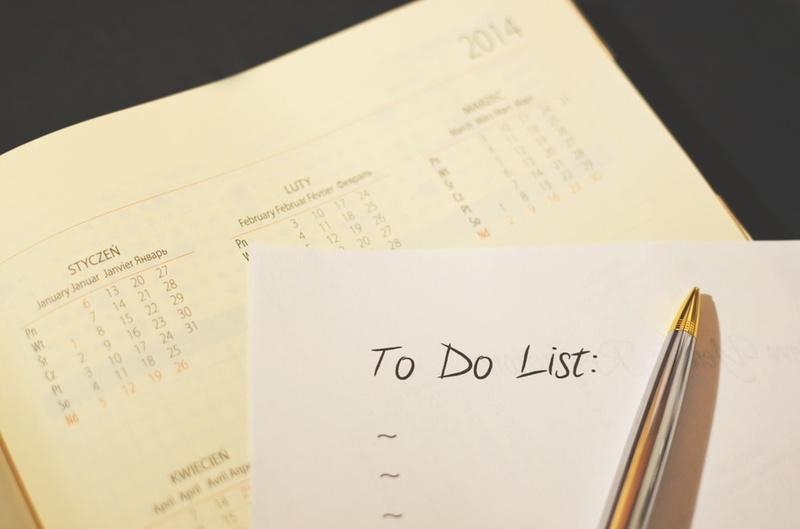 We prepared a complete new house checklist you need to go through to safely and properly start this new chapter in your life. Assuming you already checked the water pipes, gas pipes, and electrical wiring, you should now take care of other health and safety issues. The first thing you need to do after buying a house is to deal with the security aspect. Don’t just assume you have the only set(s) of keys. Change all the locks, reprogram the garage door or change the circuit entirely, and look for other security flaws around the house. Double check the door between the garage and the rest of the house if you have one since this might be the most overlooked security flaw. Also, don’t forget about other buildings that might be on your new property – like sheds, greenhouses, etc. Another thing you might want to add to your new house checklist is checking basement windows, vents that evacuate air outside, etc. You shouldn’t wait until there’s an emergency to locate your home’s piping, wiring, and shutoff valves or switches. This includes water shutoff valves, gas shutoff valves, and circuit breakers. And while you’re at it, also check for any leaks or malfunctions in the systems if you haven’t already when inspecting the property. Make an evacuation plan and understand that, ultimately, this is a safety issue for you and your family. If your time and financial situation allow it, you shouldn’t wait until you actually move to upgrade your new home. This is especially important for timely tasks like changing the flooring or repainting. Your new house checklist should also include testing and replacing smoke detectors, carbon monoxide detectors, etc. During this step on your new home checklist, you might also want to install some surveillance cameras. This is especially relevant if you plan on hiring contractors but won’t be there during the day. If the house already has such a security system, contact the company and find out how you can make sure the ex-owner doesn’t have access to your recordings anymore. This is pretty self-explanatory, but contact your banks, employer, service providers, and any other companies that might need your address to let them know you’ve changed it or will do so in the near future. This is a crucial step in any new house checklist. Don’t forget about your magazine subscriptions, local farm – if you were in a community supported agriculture program, etc. If some or all of your service providers will not be able to move your services to your new address, contact companies that cover your new area code and ask for quotations. It can take between a few days and a few weeks to have new services installed depending on each area, so keep this in mind. No matter how much you like your new home, you will always need to buy a few new things. If you are on a budget, start with those you will use every day, such as items in your bedroom and bathroom(s) plus some cleaning products that will come in handy later. Sponges, cloth rags, paper towels, etc. New mattress. This is an absolute must. If you don’t afford a new mattress right away, at least steam clean it and buy a thick, impermeable mattress cover. Toilet bowl cleaner & brush. Other things you need for a new house are a first aid kit, a fire extinguisher, extension cords, batteries, and several flashlights to place around the house. Some duct tape and extra light bulbs might also come in handy. You might need to add a handful of tasks to our new house shopping checklist. This might include buying furniture or appliances if the previous owners took them away, they’re unusable, or a health hazard that can’t possibly be eliminated just by cleaning. 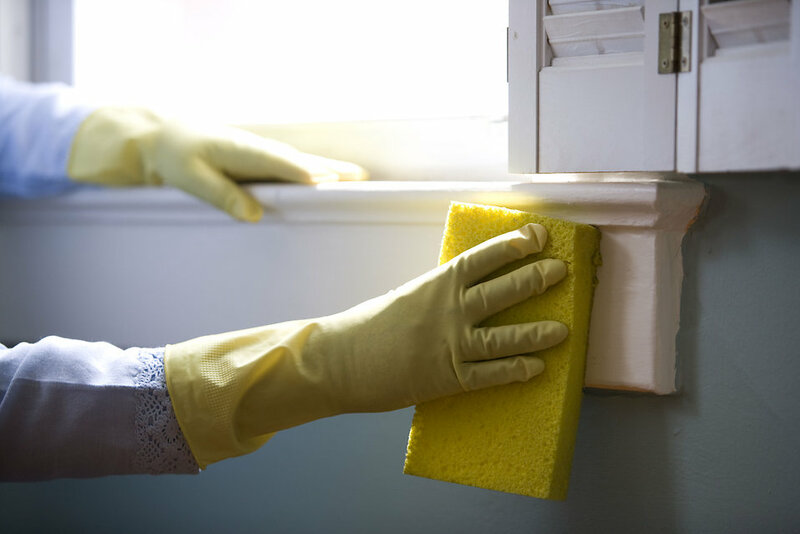 If you buy a home that’s been occupied by someone else before you, cleaning is an absolutely necessary entry in your new house checklist. Generally, the most efficient way to clean a house is from the attic down. This will ensure you do a good job and don’t carry dirt from one area to another. If your budget allows it, the best thing to do is hire a professional cleaning company. But you are on a tight schedule and budget, start with the areas you will use the most, like the bedroom, bathroom, and kitchen. First, vacuum everything – the walls, floors, and furniture. Then, use an antibacterial cleaning product to disinfect your home. We also recommend repainting, since this will not only get rid of the “old house smell”, but help with the cleaning, too. Thoroughly clean the bathtub or shower tub, kitchen sinks and garbage dispenser. You should also clean the draperies, couches, and chairs. Use a steam cleaner and professional cleaning products designed for fabrics. Other things that should be on your cleaning new home checklist are: gutters, vents, ceiling fans, air conditioners, chimney(s), furnace, and/or boiler. Yes, moving is stressful. But it also marks the beginning of a new episode in your life, so don’t make it any more tiring than it should. Understand that you probably won’t be able to check off every entry on your new house checklist in just a few days, and that’s okay. Ultimately, don’t forget that any checklist for moving into a new house depends on each house in particular. To find out what you might have missed and learn the particularities of your new neighborhood, you might also want to talk to your neighbors.